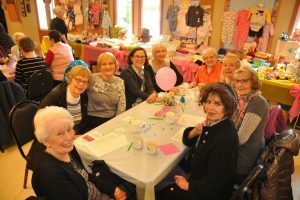 Members of the Church of the Ascension Parish Council (Parksville, British Columbia) hosted a baby shower on February 21, 2019. 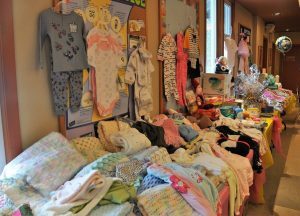 Over 130 guests representing 25 churches and organizations brought hundreds of items to support Nanaimo’s Crossroads Crisis Pregnancy Centre. The Knights of Columbus Council of Parksville added $1,600 to the many other cheques donated by attendees.